Rice + Vinegar + Fish = Heaven. Directed by David Gelb. Opens Friday. 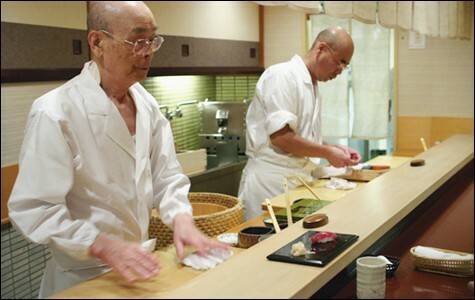 Even in the foodies' paradise East Bay, it would hard to top the precious exclusivity of Sukiyabashi Jiro, a tiny sushi-only restaurant located inside a subway station in Tokyo's Ginza. Despite its nondescript storefront and modest signage, the establishment is something of a shrine to sushi aficionados and has been awarded three Michelin stars. There's a months-long waiting list for one of its ten seats, and patrons can expect to drop a minimum of 30,000 yen (approximately $358) on a meal there. All of the above is a tribute to Jiro Ono, the shokunin, or master, whose calm manner and slight, bespectacled appearance give him the aura of a holy hermit of vinegared rice. Octogenarian Ono-san has been preparing sushi most of his life, and yet he freely admits he's just beginning to get the hang of it. 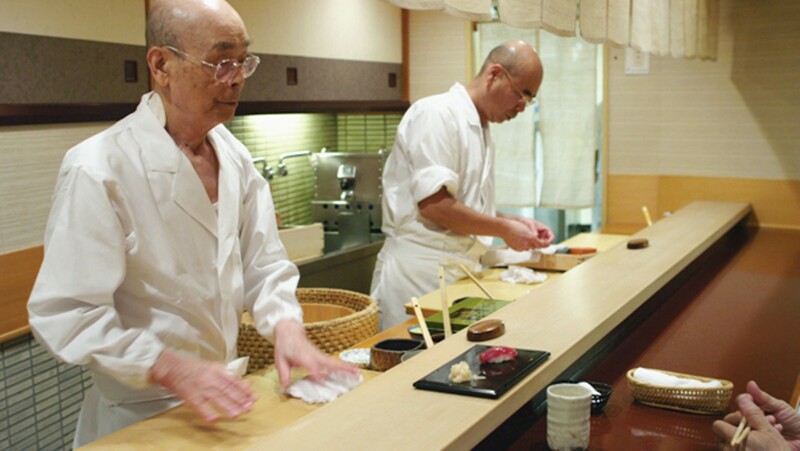 That restlessness is part of what makes him the world's number one sushi chef and the subject of Jiro Dreams of Sushi, a mouth-watering documentary by American filmmaker David Gelb. The exquisiteness of the fish and the Zen of the sushi master's art is all good and well, but what really captivates us is Ono-san's relationship with his two sons. Ambitious Takashi, a glib and engaging guy, left the family business to start his own sushi bar. Dutiful elder son Yoshikazu, the somewhat awed heir to the throne, works alongside his father in near-anonymity, honing his craft and deferring to the master. Someone could have, and probably should have, made a separate movie about all that. In the meantime we can float off to oceanic gastro-neverland with the Yoda-like Jiro, basking in universal adulation while striving for utter simplicity in the perfect piece of sushi. As long as the supply of overfished tuna holds out, he's sitting on top of the world.